Each year at this time I write about the “new rules” for small business owners and entrepreneurs in the new year. This year I thought I would share my thoughts and observations here with you, and the link to the audio version of this discussion is at the end of this article. We have now welcomed the new year of 2017 and it’s time to take focused action in your life and business to ensure this is a year filled with success and prosperity. But first, think back to 2016. How would you sum it up, personally and professionally? Are you accepting full responsibility for both the positive and the negative events that occurred? Let’s begin by tying up any lose ends from 2016. First, complete any projects that you intended on finishing, unless you have abandoned the idea or concept completely. Next, take the time to thank and acknowledge those who helped and supported you last year. Finally, write down your goals and plans for 2017 to give yourself a roadmap to guide you in the right direction every single day. Commit to reviewing these goals at least on a monthly basis. Each new year brings with it new opportunities, as well as new challenges. As I enter my eleventh year as an entrepreneur I am more committed than ever to helping you succeed. Make sure you have positioned yourself for success by following the “new rules” for life and business. These are my suggestions for 2017. 1) Become a bookworm and read every day. Give yourself the gift of a business education through reading books that will make a difference in how you think about and approach business for the remainder of your life. Also, read books for pleasure and for spiritual enlightenment. 2) Set and achieve your goals and dreams. Decide exactly what you want from your life and business. Write down your ideas and goals for at least the first quarter of 2017 this week. Review these and update them regularly. 3) Focus on time management and productivity. Be selfish and greedy when it comes to spending your mental and physical energy with people and activities that do not serve you well and do not lead you to your goals. Every moment is precious! 4) Write every single day. Once I got myself into the habit of daily writing, my world expanded and my life changed forever as a result. Writing allows you to find your voice, shape your ideas, and share your message with the world. 5) Seek out opportunities to speak and present to others, both virtually and in person. Public speaking opens doors you previously could not have imagined were even a possibility for you. People need to hear and learn things from you. 6) Be willing to “up your game” for 2017. Do whatever it takes to accomplish your goals. We live in a global economy, filled with people who have a strong desire to share their perspective with the world. How can you approach a situation in a way that embraces this world view? 7) Embrace a ridiculous work ethic. Get up earlier, give up activities that simply pass the time, and reach for a level of accomplishment that scares you. Once you work hard and achieve success you will never be able to go back to the status quo. 8) Begin each day with the end in mind. What will you have accomplished fourteen to sixteen hours from the time you awoke? How will you get there? 9) Join a Mastermind group filled with people who are smarter and more successful than yourself. Get involved in conversations that expand your thinking and encourage you to take inspired actions towards your future. As you can see, these “new rules” are direct and to the point. Any entrepreneur or small business owner can commit to working on these areas of their life and business very easily. Will you be one of them? Be sure to visit the link below to listen to the audio version of this article and to download your own study guide for reference. I’m Connie Ragen Green, online marketing strategist, bestselling author, and international speaker on the topics of entrepreneurship and inner game mind shifts. Let’s connect to see how I may best serve you in the near future. Be sure to take a look at my books on entrepreneurship. 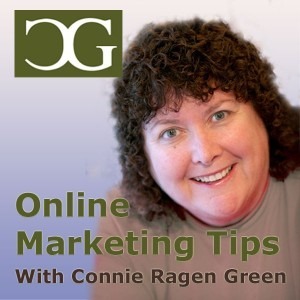 This entry was posted in Online Marketing Tips and tagged 2017, Marketing, Online, Podcast, Rules on January 7, 2017 by Connie Ragen Green.